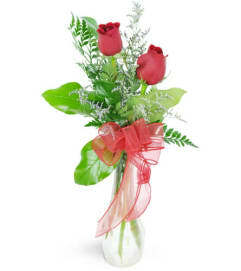 The FTD Red Rose Bouquet is a classic symbol of love that never goes out of style. 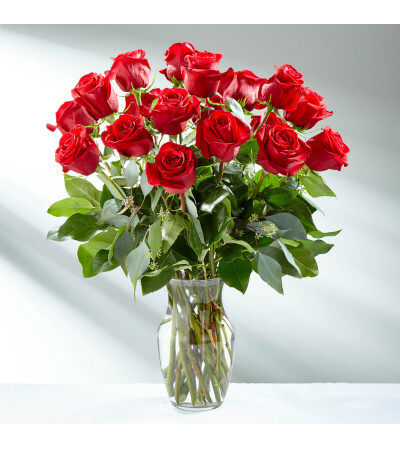 Gorgeous, rich red roses are arranged to perfection. 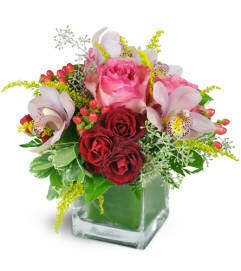 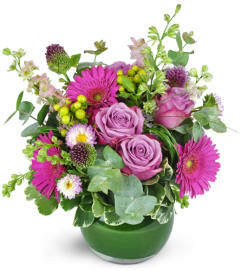 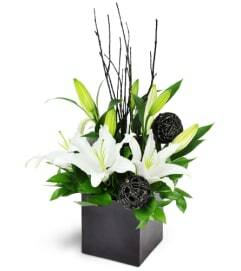 Accented with lush greens and seeded eucalyptus to give the flower bouquet a clean, modern styling, this arrangement arrives in a classic clear glass vase and is brought together just for you to help you celebrate an anniversary, a birthday, or to simply to remind them they are always on your mind and close to your heart.